ATOPOS cvc inaugurates, #TextMe project, a year of actions and events around the book and text in media arts in the context of UNESCO’s ‘Athens 2018, World Book Capital’. #TextMe was an original concept by Atopos artistic director Vassilis Zidianakis who invited Antigoni Tsagkaropoulou to design and implement #TextMe_FluffyLibrary, an unusual library/ a participatory installation/ a collective fairy tale. Antigoni’s work merges imaginary and real worlds, childhood memories and adult life and is influenced by feminist and queer theories. #TextMe_FluffyLibrary occupies the rooms of Atopos CVC, incorporating in the main artwork the rich book collection of the organisation, which consists of more than 2.500 art and visual culture books. 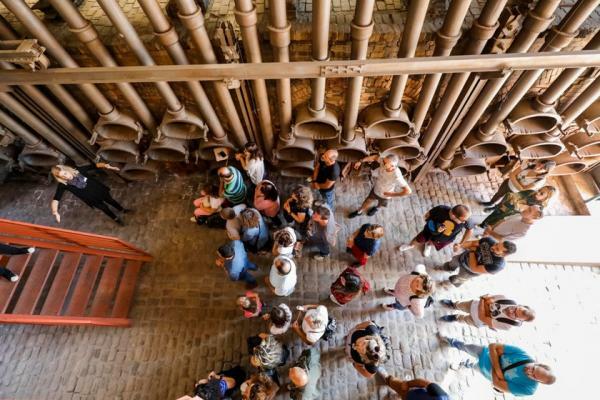 The project combines the logic of a large-scale installation with impromptu performances, collective storytellings, plush sculptures and furry costumes. Fluffy Library is an age-and-genderfluid cuddly environment that creates an otherworldly reading and playing area for both young and old. #TextMe_FluffyLibrary also operates as a workshop that will produce an unconventional fairy tale. Antigoni Tsagkaropoulou, in collaboration with other artists, scientists, story-tellers, educators and the general public, will create the story of ‘Fluffy’. Fluffy, also known amongst scientists as Flufiella Chimaerica, is a symbiotic creature that occupies and inhabits the entire top floor of Atopos CVC. What we know so far is that it eats books from the library and digests them into knowledge through its fuzzy cavities. Besides Fluffy, visitors will get to meet a series of monstrous, hybrid letters – D, for a dragon princess, P for a little masculine (pixie) fairy, M, for a hairy pink mermaid, H, for a horse with breasts and beard, and many more– that will be constructed during the course of the exhibition and will inhabit and reclaim their places inside books, stories and narratives. Fluffy and its co-habitants, will produce a fairy tale that will celebrate alternative narratives around identity, gender and human relations. 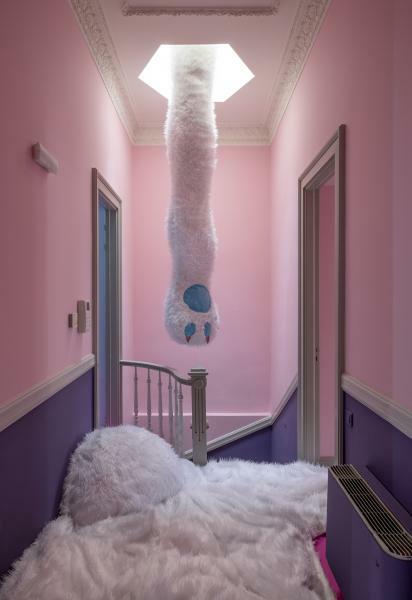 Fluffy Library is a meeting point of alternative narratives and actions around identity, gender and co-existence upon a huge hybridic, fluffy creature. All the events, that are happening inside Fluffy are co-curated and organized by Antigoni Tsagkaropoulou in collaboration with other individuals, artists, educators, friends etc. From April 2018 to April 2019 the city celebrates the great UNESCO distinction. 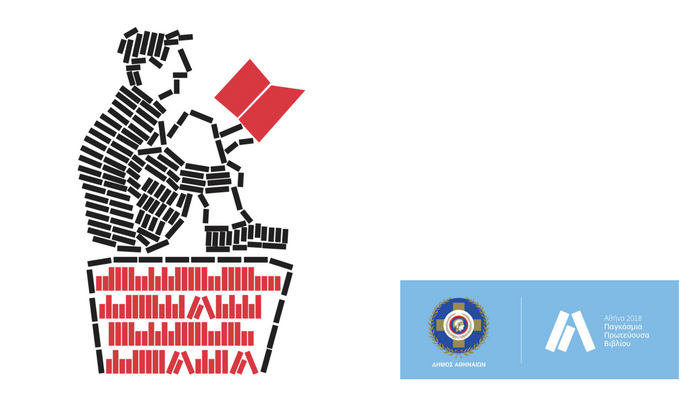 For one year, true to the slogan “Books Everywhere, Culture in Neighbourhoods”, Athens will be the place where the universal heart of the written word will be beating! 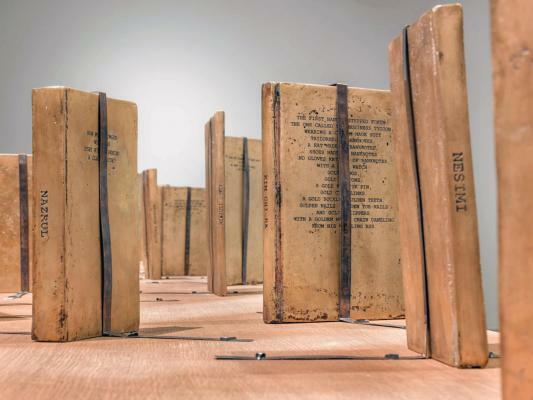 One year after hosting the most celebrated contemporary art event, documenta 14, UNESCO’s designation of Athens as World Book Capital is one more unique opportunity for the city to establish itself as an independent cultural destination. Athens is ready for a great celebration, an experience unlike any other! A whole year full of books, reading, culture and events that promote knowledge. Whether younger or older, Athenian or visitor; all are welcome to join the festivities. Our aim? To bring books to every neighbourhood and to every corner of the city. An inexhaustible source of inspiration and cause of deeply felt emotions, Beauty, is visually perceptible in the ancient works of art, constituting an ever changing picture across the history of human creation. The new temporary exhibition of the National Archaeological Museum «The countless aspects of Beauty» brings out the different versions of aesthetics within variegated social and cultural contexts from the Neolithic period up to late Antiquity, making the best of the exceptionally wide chronological spectrum covered by the collections of the National Archaeological Museum. Three hundred and forty antiquities from its rich collections, in combination with contemporary digital applications, offer an aesthetic feast and promise a journey through time full of aesthetic gratifications. In «Aesthetica Aeterna» we see on display selected objects of everyday life that record the continuous alternations and different facets of aesthetics in human diachrony. «The beautiful and the desirable» attempts an essential approach to the aesthetic preferences of the ancient societies on the basis of what the ancient Greek myths reveal about beauty and the archaeological finds that relate to clothing, hairstyles and beautification. The third part titled «Focusing on the Body» illustrates the expression of beauty in the visual rendering of the human body from the Neolithic period to historic times. At the end, «The endless quest» aims at the aesthetic contemplation on the significance of the beautiful and its value for humans. 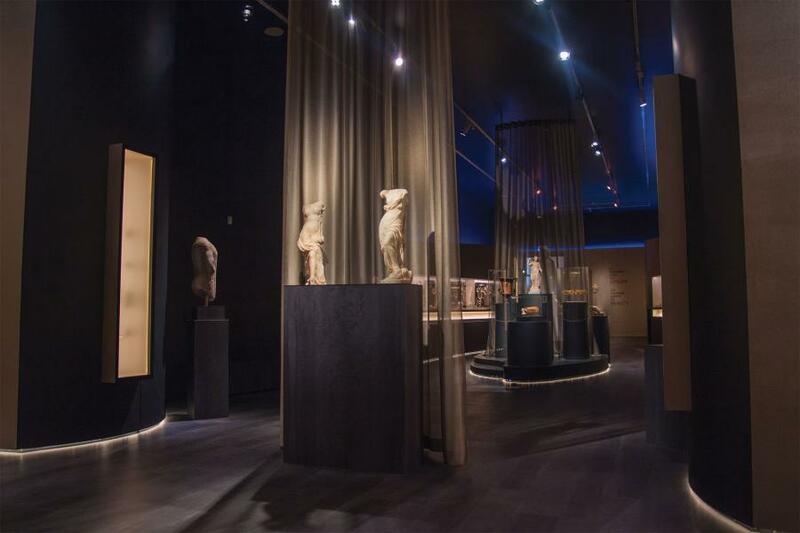 Among the age-old secrets of Aphrodite that are presented in the exhibition, the world of perfumes takes a special place. In collaboration with the Korres Company, there were created perfumes inspired from information recorded in the ancient sources. 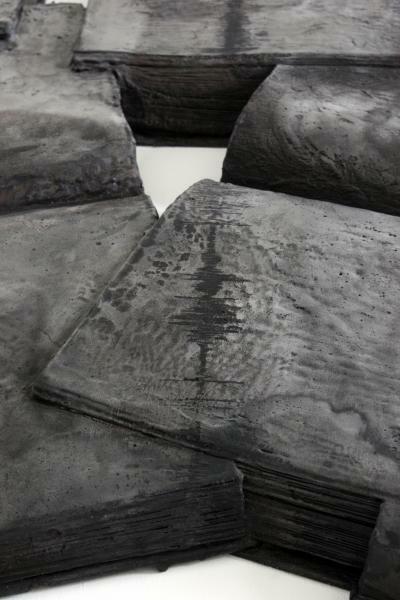 The exhibition, throughout its duration, will encompass an array of experimental workshops. Scientists, artists and artisans from Greece and abroad, will offer their specialized knowledge to exemplify for the visitors experimental approaches regarding weaving techniques of the Neolithic period, garments of the Aegean world in the second millennium B.C., such as the Mycenaean costumes, the colorfulness of ancient sculptures and the depiction of the Beautiful through the ancient Greek music. Along with the experienced people of our Museum, we follow the gas production line, ‘listen’ to the workers’ stories, touch the machines that until recently filled the city with power and light. Megaron for Children presents a never-before published fairy story by Nikos Kazantzakis in an exciting theatrical adaptation by Vassilis Mavrogeorgiou. A fairy story penned by the imagination of the Cretan writer, it’s a journey to the magic of the Far East, for children and adults. The story unfolds engaging the little viewers, evoking in song a world populated by kings and princesses, magicians and dervishes, pedlars and caravans. With posters, pictures, specialized publications, articles and further documentation from public and private collections from Greece and abroad, the exhibition reveals the multidimensional aspect of peace protests in Southern Europe of the 1980s. 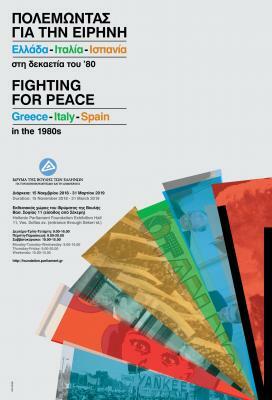 The exhibition presents the antiwar movement in Southern Europe, through a multilayer historical retrospection of the 1980s. The aftermath of the devastating Second World War and the emergence of the Cold War saw thousands of people rallying around the cause of peace and disarmament, thus becoming the core of massive political activism and building new ideological and political identities. During the nuclear weapons crisis peoples not only in the South but also in the whole Europe, attempted to review their past, present and future; their strong mobilization against the installation of new nuclear weapons in Europe depicted the rapid social, cultural and technological transformations of the time that concurred with the wide spread fear of nuclear devastation. This fact gave global impetus to a massive and strong antiwar movement, in close relation with other movements of the time, such as the youth, the feminist, the trades unions, the environmental, which affected profoundly societies and political agendas. The interactive installation “Bubble Jam” leads a group into an experiment with itself. On this digital stage, the characters don’t exist in space, but on our screens. We follow and respond to their messages. Who is it on the other end? And who are we in this cloud? “Who is on the other end of the internet and what are the processes between us when communicating online?" Asking this question, Daniel Wetzel, founding member of the internationally acclaimed Rimini Protokoll, sets up an interactive installation for the peers of YouTube; for those who use messengers despite the age restriction; for the upcoming generation of digital natives. We, as is usually in theatre, meet in the same space, yet this time a large part of the stage design has been converted into code. An interactive play and an experiment among us, Bubble Jam invites its visitors to act as members of a cloud that explores itself. How are joint decisions made? What happens when algorithms enter that process? And who or what do we “like” and “follow”? Using technology and elements that have been developed for the Rimini Protokoll Project “Dreaming Collectives. Tapping Sheep”, written by Daniel Wetzel and Ioanna Valsamidou (Staatstheater Dresden and others, 2017). A modern, lyrical puppet theatre for all ages, with live music and a revolutionary mood; it’s this year’s original ‘away offsite performance produced by the Onassis Stegi for high-school students, teachers and other special audience groups, such as inmates, senior citizens, the chronically ill, people in rehabilitation centres, people with disabilities and everybody who is unable to access the arts easily, or is in remote areas. We are all tightrope walkers, hence worthy of attaining freedom; this is what Jean Genet seems to be telling us in his famous lyrical manifesto “Le Funambule” (“The Tightrope Walker”, 1955), which has inspired this performance by the Ayusaya Puppet Theatre. Puppet players, musicians and dancers give life to hand-made puppets. Drawing inspiration from Genet’s instructions to the tightrope walker Abdallah Bentaga, to whom he dedicated his allegorical essay, our troupe invites us to discover the craftsman-artist inside us all and respond to the challenges he sets us in the art of living. The performance is based on the translation by Christoforos Liontakis of Jean Genet’s “Le Funambule – Le Condamné à mort” (“The Tightrope Walker – The Man Sentenced to Death”), Ekdoseis Eikostou Protou (21st c. Editions), Athens, 2016. 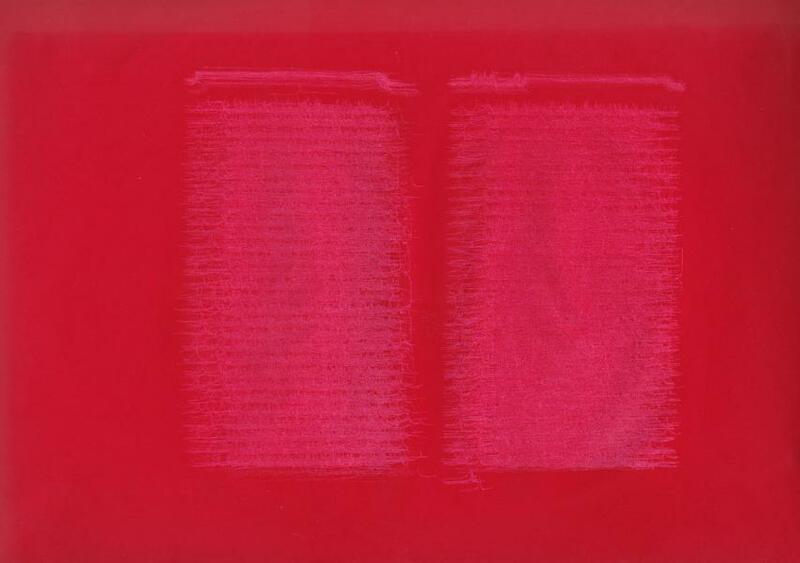 The second part of the trilogy focuses on books and texts through their physical, hybrid, or immaterial presence. Objects of desire and central characters in new forms of fiction, books generate enchantment and emotion through the exhibits. They cross paths with vision and other senses. Through linguistic and conceptual processes, they lead to ambiguous, frequently hermetic readings. The viewer-reader crosses the boundaries towards uncharted aesthetic territories beyond knowledge and meaning, and occasionally beyond writing itself. The exhibition has been designed as a labyrinth, with ‘reading rooms’, ‘archives’, and ‘stack rooms’, in public and secret areas of the new wing of the Athens Concert Hall at various levels, transforming the building and its maze-like underground passages into a metaphor for a post-Borgesian Babel library. Over 100 works are on display: paintings, sculptures, installations and video installations, artists’ books, acoustic and internet art, and performance art, including new productions. 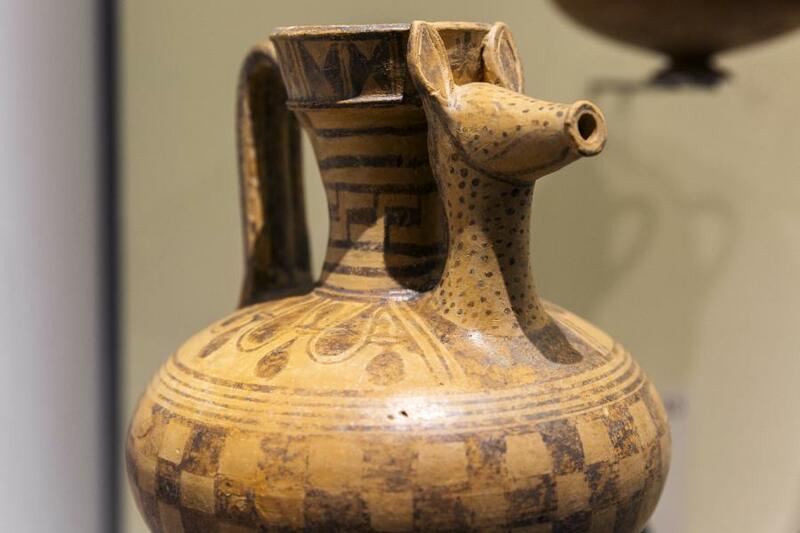 The Museum of Cycladic Art (https://cycladic.gr/) , the Regional Services of the Hellenic Ministry of Culture and Sports (Ephorates of Antiquities of Chania, Rethymno, and Herakleion) and the Region of Crete (https://www.crete.gov.gr/) are co-organizing the exhibition entitled “Crete. Emerging cities: Aptera ― Eleutherna ― Knossos. Three ancient cities revived” from 12 December 2018 to 30 April 2019. This is a multi-faceted exhibition with rich audio-visual aids, including screens, maps, and innovative technologies. 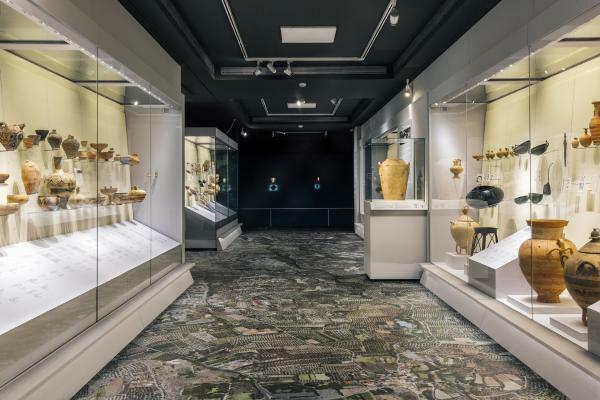 The exhibition focuses on three of Crete’s one-hundred cities, according to Homer (hekatompolis), and their common characteristics: their establishment, acme, decline, destruction, abandonment, and demise. Cities with centuries-long history, cities that were abandoned and forgotten, but are also tangible examples of archaeological investigation using similar or different approaches. The exhibition comprises approximately 500 artefacts dating from the Neolithic (7th-6th millennium BC) to the Byzantine period (8th century AD), some newly discovered, others from old excavations, most of them never presented to the public before: statues, reliefs, figurines, inscriptions, vases, weapons, jewellery, coins, and other artefacts of various materials—limestone, marble, clay, metal (bronze, iron, silver, and gold), faience, glass, ivory, and semi-precious stones. 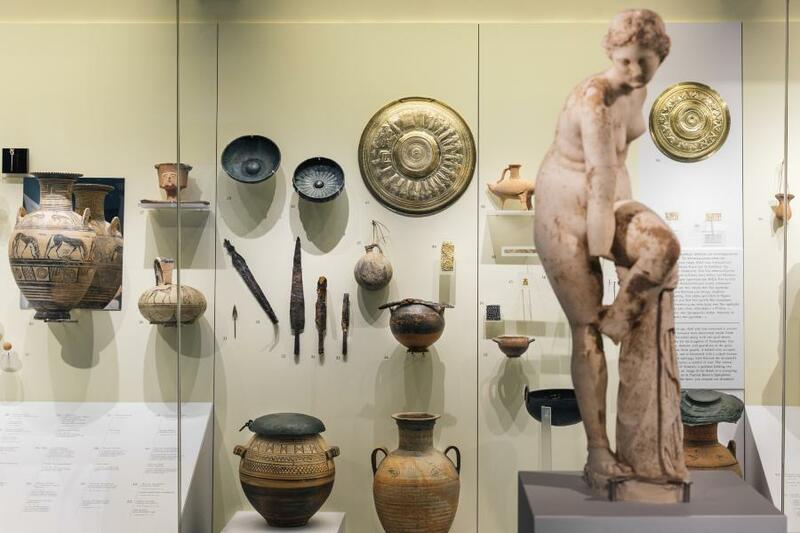 This is the first time that so many artefacts leave the storerooms of the Antiquities Ephorates and display cases of the museums of Crete for a temporary exhibition in Athens. Antiquities from each one of the three cities speak of its territory, public and private life, religious beliefs, sanctuaries, and cemeteries, fragments of its historical continuum. 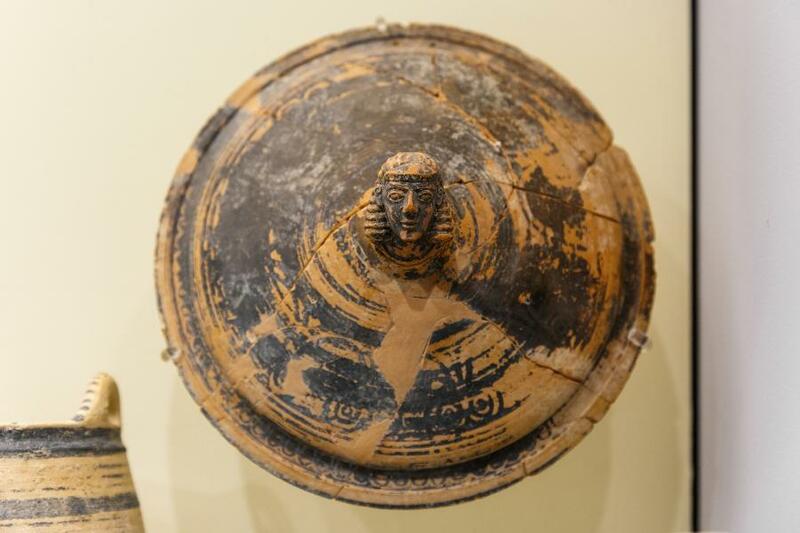 A special place is given to artefacts relating to each city’s founding myths and also to personal stories: Soterios from Eleutherna who live and died at Aptera, the young man of Eleutherna who died before knowing love, and the child buried with their toys at Knossos. The exhibition also showcases Renaissance books and maps, including the Vincenzo Maria Coronelli’s map of Crete (1707) with its famous fruit garland inscribed with the names of the 100 Cretan cities mentioned by Homer, including the three presented here. Monday, Wednesday, Friday, Saturday: 10:00-17:00, Thursday: 10:00-20:00, Sunday: 11:00-17:00, Tuesday: Closed. Alexander Lamont Henderson (1838-1907) was a photographer who was distinguished for his services by Queen Victoria of Britain and a member of the Royal Photographic Society. The information related to his life and work is poor as his "royal" images were destroyed after the death of Queen Victoria and his "commercial" work which was donated to the library of the London Guildhall Museum in 1907 was destroyed in 1940's bombing. A set of what he himself called "Holiday snaps" could possibly be the only part of his work that is saved nowadays. It consists of photographs taken between 1884 and 1906 during his trips in Mediterranean countries. The exhibition will present for the first time the photographs he took in Greece in 1904. His lens turns away from the iconographic stereotypes of the time and depicts scenes from everyday life in the city with the vendors being the protagonists. The images taken inside the royal palaces in Athens and Tatoi are also of great interest. The selection of themes will be based on 86 exemplary glass plates (diapositives) which were recently kindly donated to the Benaki Museum Photographic Archives. Alexander Lamont Henderson (1838-1907) was a photographer who was distinguished for his services by Queen Victoria of Britain and a member of the Royal Photographic Society. Benaki Museum, Cultural Association "Skiathos"
On the occasion of the 70th anniversary of the death of Nikos Skalkottas, the four organizations that are housed in the Athens Concert Hall call 2019 "Skalkottas Year" and organize a series of anniversary events at the Megaron Mousikis, which include, among others, concerts , discussions, exhibition, international conference, composition contest and training programs. This brings together for the first time their artistic and scientific forces in a collective course throughout the year that will give the honor to Nikos Skalkotas. During "2019 Skalkottas Year", the Friends of Music Society with its Music Library "Lilian Voudouri", the Athens Concert Hall, the Athens State Orchestra and the Greek Composers Union , in collaboration with the Hourmouziou - Papaioannou Foundation, co-organize a series of events that aim to re-recommend us the Greek composer and the genius of his music. They also aspire to show that Skalkotas' music, exciting and unpredictable, can speak directly not only to the "connoisseurs" but also to the wider audience. On the occasion of the 70th anniversary of the death of Nikos Skalkottas, the four organizations that are housed in the Athens Concert Hall call 2019 "Skalkottos Year" and organize a series of anniversary events at the Megaron Mousikis, which include, among others, concerts , discussions, exhibition, international conference, composition contest and training programs. 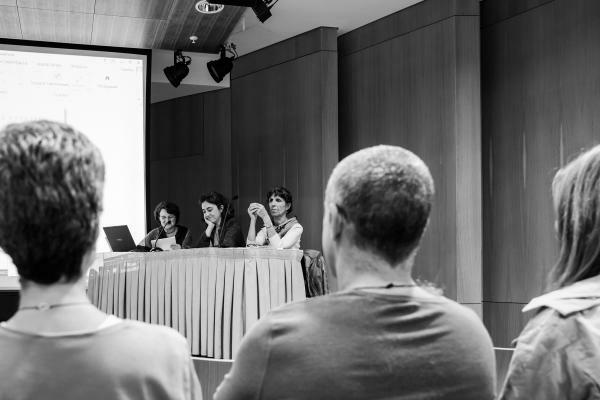 This brings together for the first time their artistic and scientific forces in a collective course throughout the year that will give the honor to Nikos Skalkotas. A narrator and a comic book artist present an original educational workshop that uniquely combines music with speech and image. 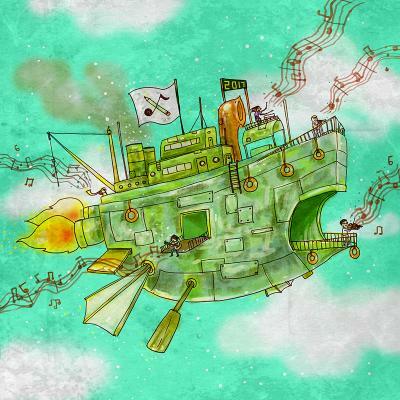 At each meeting the children travel to a different musical destination with the help of the illustrated storytelling. At the end of the workshop, the children become the same creators and make their own comics. In collaboration with the George Zongolopoulos Foundation, the Stavros Niarchos Foundation Cultural Center is organizing the first exhibition exclusively dedicated to public sculptures, installed in Greece and other countries, by this iconic artist. The exhibition traces how Zongolopoulos’ public sculpture charges and converses with installation sites, locations in which it enters into communication with the public on a daily basis; it moreover highlights the importance of public art – all the more relevant in view of the fact that this exhibition is held at SNFCC, which aspires to redefine the citizens’ relationship with the public space. As part of this exhibition, eight sculptures will go on display in outdoor areas in the Agora and the Rear Agora. 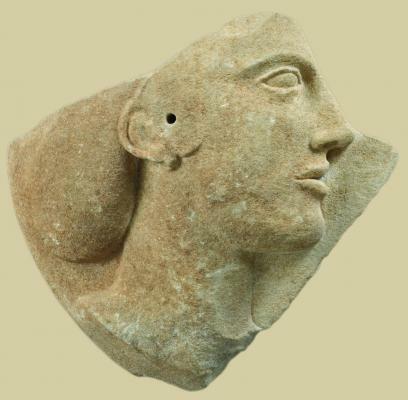 Twelve more sculptures – four of them for the first time – will go on display at the 4th-floor atrium of the National Library of Greece, supplemented by maquettes, constructions, drawings, videos, photos and interactive exhibits that place these sculptures in the context of the public sites where they have been installed. 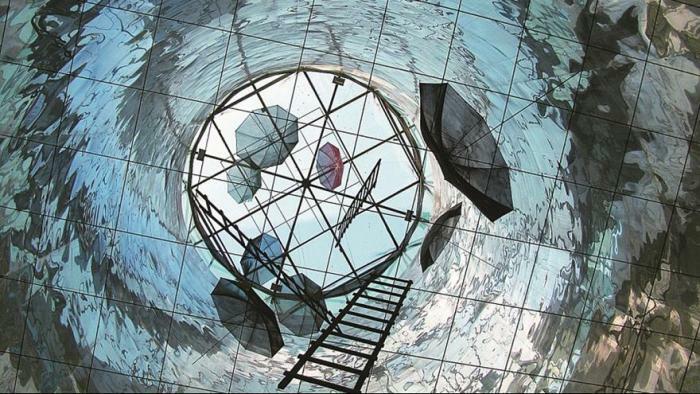 The panel from Zongolopoulos’ studio, the maquette of the Monument of Zalongo and the surrounding area, and an umbrella from the life-size Umbrellas sculpture will also go on public display for the first time. Furthermore, the exhibition features videos on Zongolopoulos’ life and work; educational programs based on the sculptor’s work will be on offer in other SNFCC areas. 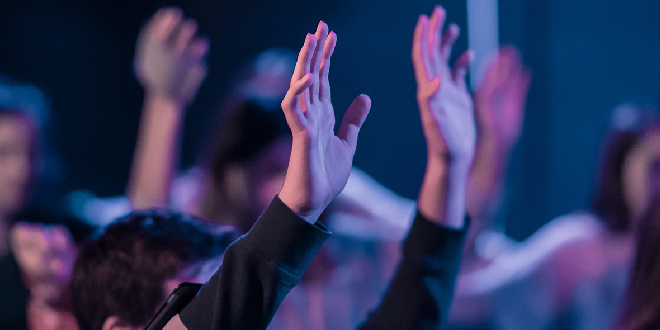 Eight seminars aimed at approaching through three different prisms, medicine, psychology and music therapy, the miracle of pregnancy and maternity and paternity.